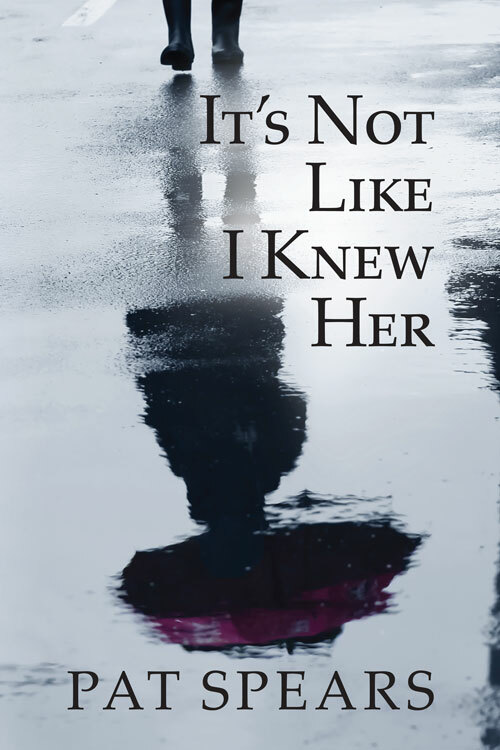 Blogger Tricia Booker is one of those gifted writers who can not only draw you into her world – which she does deftly and beautifully – but she also has the ability to enlarge that world to include other writers. 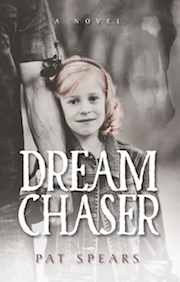 I was stunned and grateful when she posted her take on my novel Dream Chaser last week. She honors my writing by describing it with her own wonderful prose. To read more of Tricia Booker, check out her blog site, TriciaBooker.com. As you may remember from my Anniversary Love Post, my husband wasn’t really my type. ** My exes were the gritty boys, the ones with dirt on their boots and good intentions always waylaid by smoldering temptations. Throw in a couple of well-placed tattoos, a minor arrest record, and a motorcycle? Bam. Just take me right here in the barn, boy. **Please reread the Anniversary Love Post if you don’t remember that I adore Hot Firefighter Husband, even though he won’t get a tattoo. So after I met Iraqi war veteran Jesse McKnight, the star of Pat Spears’ new novel Dream Chaser, I practically swooned my way from chapter to chapter. Jesse’s tours of duty have left him tense and flat, unconnected to his three children and so inattentive to his wife that she’s abandoned him and the kids and left town to pursue a new life. The story takes place in Florida’s Apalachicola Forest, and the characters all seem stuck in hardscrabble lives — scraping together mortgage payments, struggling to buy groceries, and finding ways to shield such grown-up problems from the children in their care. Two of Jesse’s three kids resent that he’s the parent who stayed: 16-year-old Cole blames him for his mother’s abandonment, and 4-year-old Sky remains so traumatized she won’t even speak. But 11-year-old Katie recognizes in her father a spark of potential. It’s heartbreaking to watch her try to steer him into parenthood, how she helps her little sister recover from teary episodes and sweeps the kitchen floor when it’s dirty, which is always. The story follows Jesse as he loses his job, disappoints his kids, and tries in vain to reconcile with his wife. Day after day, life beats him down, and in those late evenings, when hope seems like nothing so much as a useless word and the mere idea of tomorrow makes his bones feel weary, we want to take a swig of that beer he’s holding and throw back a shot of whiskey to boot. But here’s the thing about Jesse: he stays. And he learns. He figures out how to talk to Cole, he begins to understand Sky’s fearful silence. And in time, he knows he must push to become the father that Katie thinks he can be. If Cormac McCarthy had written the story of Kramer vs. Kramer, he might very well have come up with Dream Chaser. Spears’ ability to endear us to such flawed characters speaks to a rare, gifted view of humanity. She added into the plot a wild mustang, a loyal dog, and the worst kind of love triangle, and, well, she had me at the first appearance of a pickup truck. 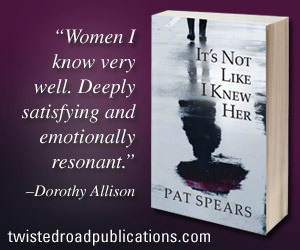 Pat Spears, a sixth-generation Floridian, began her writing career as a technical writer, and her attention to detail and concise, fluid style reflects that. From page two, we’re in Jesse’s head, following his flawed logic and waiting for him to be a better man, a better dad, and a better friend. You could call Dream Chaser a modern literary cowboy drama with western stereotypes turned on their heads. Spears has given voice to the downtrodden people buying beer at the gas station at the end of the day, the bottle-blond girl behind the checkout counter, and the schoolchildren buying Mountain Dew with damp dollars bills in their dirty hands. And what we learn is both predictable and astonishing – they’re not at all different from us. I’m glad I didn’t marry any of the Jesse McKnights in my past. Their penchant for tobacco and unspoken resentment would have driven me mad. But Dream Chaser is a harsh reminder that society’s tendency to split into homogenous socioeconomic communities deprives us of the opportunity to recognize our collective similarities. I love my life right now, but damn. I could use a little wild mustang now and again. This entry was posted in News & Events on October 2, 2014 by Joan Leggitt.